© 2019 Chaosium Inc. Call of Cthulhu is a video game published by Focus Home Interactive and developed by Cyanide SA. "Call of Cthulhu" is a trademark of Chaosium, Inc. All trademarks or registered trademarks belong to their respective owners. 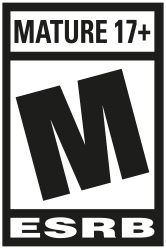 All rights reserved The ESRB rating icons are registered trademarks of the Entertainment Software Association.